Owners continue to value their homes more than appraisers do, according to research by mortgage lending company Quicken Loans. The firm’s Home Price Perception Index (HPPI) found that across America, appraisals in July were an average of 1.70% lower than what homeowners thought they would be. But this also marked the first time in seven months that the gap between the two opinions of value narrowed. Perceptions varied across the country. The Midwestern and Eastern regions kept with the national trend of a lower appraiser opinion, while the Western markets were more likely to have owners underestimate their home value. Results came from Quicken Loans' propriety mortgage data from the 50-state lenders' mortgage activity across all 3,000+ counties. "While a 1 or 2 percent difference in home value opinions may not seem like a lot, it could be enough to derail a mortgage," said Quicken Loans executive vice president of capital markets, Bill Banfield. "A homeowner could be forced to bring more cash to closing in order to make a mortgage work if the appraisal is lower than expected. On the other hand, if an appraisal comes in higher, they could be surprised with more equity than they had planned. Either way, if owners are aware of their local markets it will lead to smoother mortgage transactions." 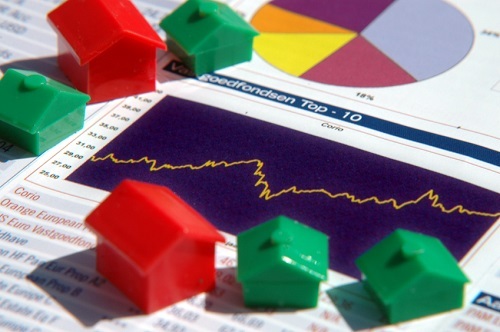 Separate analysis from Quicken Loans also found that June was another month of strong home value growth. Appraised values rose 1.25% from May and annual growth was even stronger with 5.35% year-over-year increases in value, according to its national Home Value Index (HVI). "As we get later into the spring and summer selling season there are less and less homes available for sale, driving prices higher," Banfield said. "What's clear is that the demand for housing is strong in much of the country. With interest rates remaining historically low, this could be the time for a homeowner to move on to the new construction home they had their eye on. If they do so, it would open home options for first time home buyers entering the market. The additional inventory could lead to more balanced prices, moving away from the spike in annual growth we have seen lately."